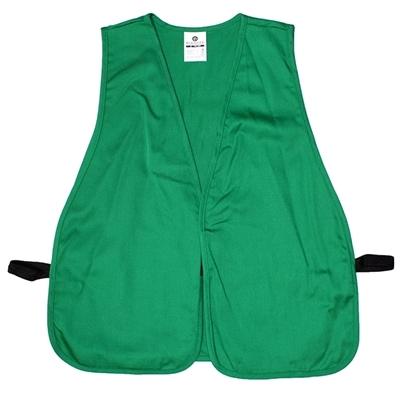 Green cloth vest. 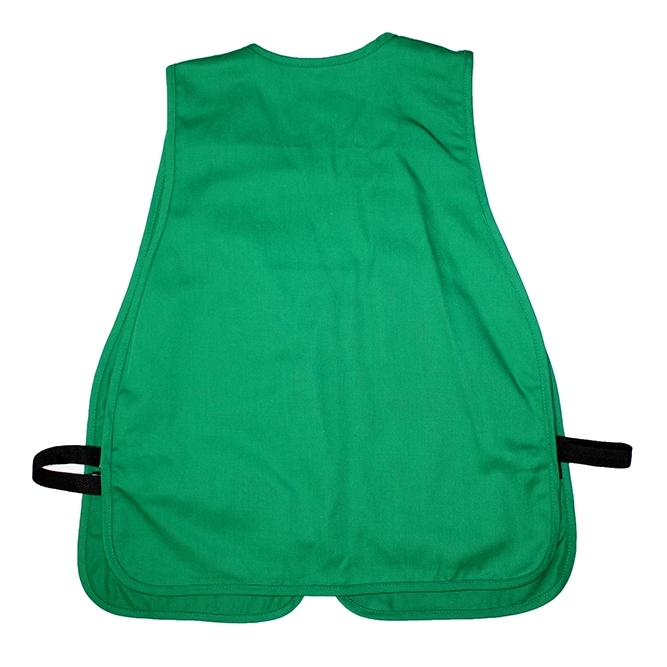 Polyester/cotton fabric with matching color vest trim and shoe-string side closure. Machine washable. Velcro front closure. One size fits all. Printable.